Every bourbon recipe must by law contain at least 51% of corn adding a natural sugar and sweet flavor to the bourbon whiskey. Rye is a traditional bourbon ingredient in many recipes adding a spicy flavor. Most recipes add between 5-15%. Barley is typically in all bourbon recipes, it is quite often malted to add a more sweeter and smoother note. Wheat is less common in a bourbon, and is adding typically a less spicy taste than rye. Therefore, wheated bourbons tend to taste a bit sweeter and milder generally. Please note that there are variations in the taste of ingredients from different geographic areas. Some may taste sweeter or spicier than others. And, therefore all ingredients in the recipe can be varied to influence the flavor profile of the final product. Many micro distilleries buy already milled grains, though, we believe at Atlanta Bourbon Company that milling our grains into a coarse powder ourselves has two effects: First we can control the quality of the grains we use and secondly, we have no aroma loss in the freshly powdered grains. The milled grains are cooked with water to a mash. The mash is cooled down before the yeast is added to transfer the sugars in the mash into alcohol. Simplified alcoholic fermentation is the conversion of glucose sugar to alcohol and carbon dioxide gas. This process is carried out by yeast cells using a range of enzymes carrying out a complex series of chemical conversions. Sour Mash Whiskeys are based on sour mashing which is a process that uses material from an older batch of mash to start the fermentation of a new batch. It does not mean that the fermented mash is getting a sour flavor. A mash tastes sour if it contains for instance a lactobacillus. 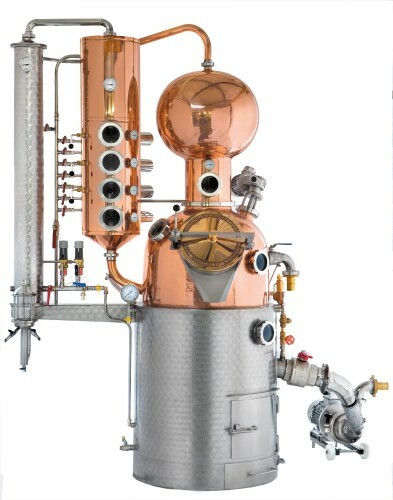 There are different designs of stills but all of them follow the same principle of distillation – the mash is heated and its vapors are exactly split by temperatures and thus the drinking alcohol can be extracted from the mash and poisonous and bad parts can be separated. The idea behind distillation is to purify the alcohol liquids in the mash and to remove any diluting components like water. This means, the distilling process increases the proportion of alcohol content in the liquid (known as alcohol by volume, ABV). 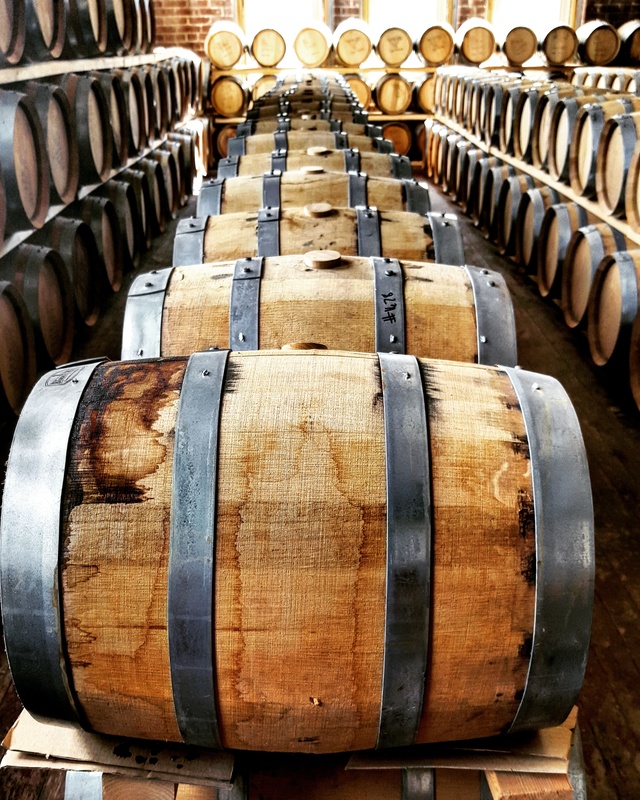 Bourbon must be barreled in new American white oak barrels. Depending on the quality of the barrels, and the intensity of their burning process the flavor of the future Bourbon is influenced. The burning process opens the white oak wood to a palette of complex flavors from caramel to vanilla. And, it adds the color to the future bourbon. Warm Southern summers and cold winters make the South a paradise for producing high quality whiskeys. The location in the warehouse will determine how moderate or extreme the temperature changes the barrel will experience during aging and this will add very different flavor palette to the future product. Moderate temperatures (normally in lower levels of the warehouse) are rather causing smooth and sweet tasting products, the warehouse middle with a consistent temperature fluctuation is known to well-balance whiskeys, going up to the top level warehouse places barrels will age more quickly with more dominating dry oaky wood flavors. The aging throughout the year with the temperature changes causes the whiskey to expand into the wood of the barrel and to draw back. This process causes the whiskey to draw out a lot of flavors from the white American oak. It also causes that a certain amount of whiskey is evaporating which is called “Angel’s Share”. The amount of angel share is depending on the temperature changes the barrel is living through. After three years of barreling whiskey starts to create the typical mellow vanilla taste profile. With every year older more caramel and spicy notes are coming into play. The longer a whiskey ages the more dominant will be the dry oaky flavors sometimes with tobacco and leathery tastes.